Enterprise Application Architecture and Planning. Automating business processes to create powerful network applications takes a serious skill set. A successful enterprise development project requires thorough planning and effective project management. Our team has designed and implemented highly scalable, dynamic cloud-based enterprise systems from the ground up. Systems used by some of the biggest organizations in the world. Architecture, planning, and elegant system design is the foundation of a successful enterprise application. We start with a full analysis of your business processes to determine the width and breadth of the project scope. Then we diagram the optimal way to automate repetitive tasks, reduce administrative burden, and create a scalable dynamic network application. This ends up with a detailed requirement list which is broken down into delivery phases. Once you have a requirements list, it’s time to plan the development. You need to organize the engineering team, create milestones and deliverables then Identify phases of delivery, QA, beta testing, and deployment. Entexture can guide you through the process and help identify potential problems and pitfalls before you encounter them. Make sure your enterprise development project is a success with the enterprise experts at Entexture. We will create a project plan for your internal engineering team, or provide the talented developers to build out the complete system. Our team consists of some of the brightest minds in the industry. We will work hand-in-hand with your stakeholders to ensure your organization received the highest quality product and outstanding service. AWS Cloud hosting migration and management. Do your applications and critical business services live in the cloud? Do you have monitoring enabled to catch problems before your customers do? Are you spending too much on Cloud services? Cloud hosting can be overwhelming and confusing. Often the recommended server configurations are not actually appropriate for your business. Don’t rely on calculators to try and estimate your hosting needs, let a professional server administrator do a proper analysis and recommend the right size solution. 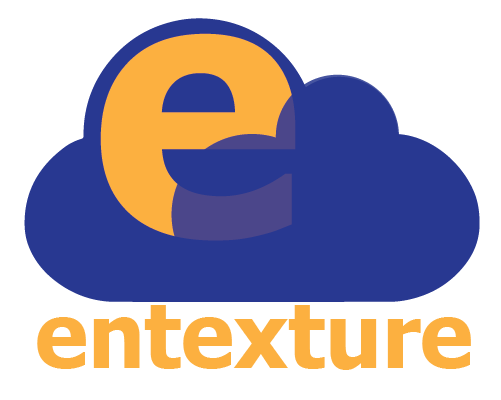 Entexture can run an analysis and make sure you have appropriate server configuration handling your critical business applications. The proper server configuration can save you thousands of dollars on idle CPU hours. It could also save you from thousands of lost sales when you are prepared for traffic spikes. We can create a growth plan and help you manage your enterprise cloud hosting. Inexperienced developers tend to jump on the latest bandwagon of whatever the next “hot” language is. What is popular with junior developers is not often appropriate for enterprise development. Critical business applications require stability and consistency. Often we get called in because a company took the advice of an inexperienced developer and attempted to build their core business systems on the latest fad architecture. Now six months later the developer is gone and no one knows how to work on the system. You shouldn’t build enterprise systems on frameworks built for social media like node.js or using NoSQL databases like MongoDB. Sure it’s possible, but it’s also possible to build a mobile website in PERL, that does not make it a good idea. API integration for Twilio, Google API, Dropbox, Postmark and many more. Need your application to send you a text message alert? Need to add phone verification? Extend your applications with APIs and integrate your systems to all work as one. We can help you leverage the popular tech solutions with REST API integration. 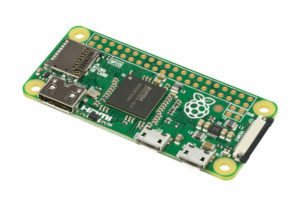 Raspberry Pi (IoT) programming, systems development, and implementation. Software isn’t limited to the desktop and mobile device. We have done some amazing things with Raspberry Pi. We can integrate your enterprise application with the real world. Connect your user and track equipment in the field with real-time GPS. Control nationally networked digital signage to coordinate your marketing and promotion. We can help you solve complex real-world logistical problems with creative technology solutions.